A Fun Frolic at Fintona! Rodney Ram and I started our Chinese New Year Melbourne tour at the wonderful Fintona Girls School this morning, with a wild and woolly assembly! We talked all about Chinese New Year, and the Chinese Zodiac, and how it all started with Lord Buddha’s famous Great Race, and how you have to get everything super-clean in time for the big day, including your house, and your business, and your haircut! Then the gorgeous girls met my equally gorgeous Ram for a fun story reading! It was a fun frolic! 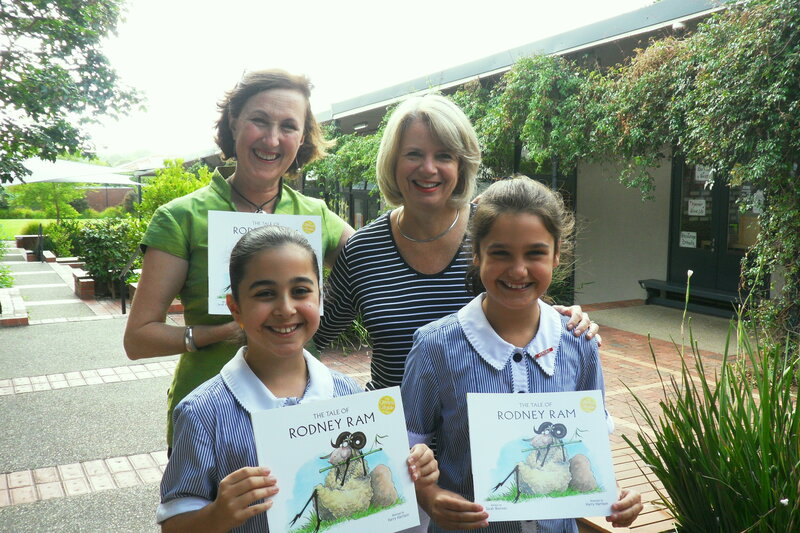 Many thanks to Head of Junior School, Sally Clayton (above), librarian Robyn Sundberg and Year 2 teacher Andrea Sherburn for hosting me! I look forward to lots of entries in my Clever Competition from the Fintona Flock!